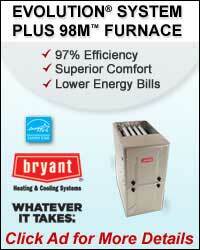 Platek Mechanical is a fully insured heating and cooling professional organization. I maintain a high level of quality in my work. I continually attend classes and seminars to keep myself educated on all the new laws and techniques used in the HVAC and Electrical industries. For 75 years, RSES has offered educational and certification programs to HVACR professionals of all experience levels. As the leading provider of educational meetings, seminars and workshops, RSES also provides technical examination programs and training courses for service professionals working on heating, ventilation, air conditioning and refrigeration systems across the nation. RSES also has members who represent the piping, ice machine, hydronic heating, energy management, building automation, sheet-metal fabrication and indoor air quality service markets. PLATEK MECHANICAL is a full service heating, air conditioning and electrical contractor celebrating over 30 years of operational excellence. My name is Tony Platek, and I own and operate Platek Mechanical. 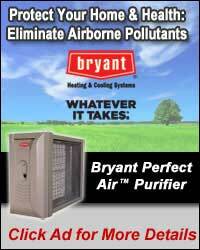 I have been a Bryant dealer for 30 years. Operating as a sole proprietorship, I have extensive experience along with a strong reputation for complete attention to detail and well thought out designs to meet my customers' needs. I am continuously improving my offerings and researching new High Efficiency products to provide unique, customized solutions for every home or commercial comfort need. As both a licensed electrician and a heating/air conditioning contractor I am able to give my customers exceptional professional care. I am always available to answer any questions, offer ideas and assist you with your commercial or home comfort and design needs. My customers can be assured that when you work with Platek Mechanical, whether it is regarding a small service repair, preventive maintenance, indoor air quality or system upgrades, I am dedicated to providing you with the level of professional, quality service that can come only from a business committed to your complete satisfaction. 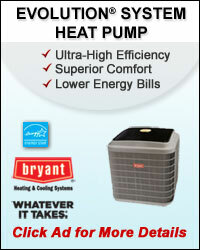 I thank you for visiting my website and will be honored to work with you in resolving your HVAC and electrical needs.